Peggle 2 is currently an Xbox One exclusive. It arrived this Monday missing a mode most Peggle veterans really enjoy: Duels. Jared Neuss, Producer for Peggle 2, took to Facebook to announce free DLC that will feature the missing mode. Here's a chunk of that announcement. So, now that Peggle 2 is out in the world, what are we doing? While I can't reveal too much, I'm happy to announce that we're currently focused on bringing you a multiplayer mode that may sound familiar to Peggle veterans: Duels! This new mode will enable players to compete against each other, in the same room or across the Internet, head-to-head on the same board. 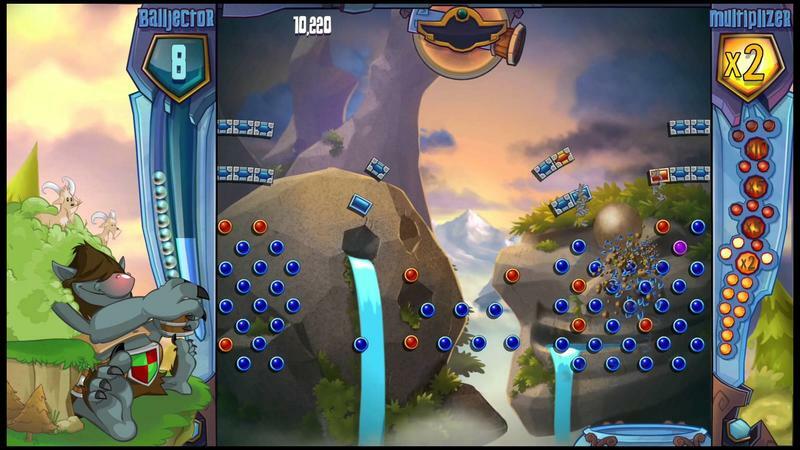 We loved Duel mode in the original Peggle and can't wait to bring it into the updated world of Peggle 2! We'll be announcing details soon, but rest assured that we're working to bring you Duels as soon as we possibly can. For free. Because free is rad and you fine folks deserve it. Quite honestly, after completing Peggle 2 last night, I can safely say that the game feels incomplete compared to its predecessor. Less Peggle Masters to choose from and missing modes make it feel like a lesser package. The fact that Duels is coming to the game as DLC (free, which is good) is a little disappointing. This local and Internet-based competitive mode should have shipped with the game, plain and simple. There's a shopping cart in the main menu of Peggle 2. Right now, it has a "coming soon" tag slapped on top of it. I'm going to be a little depressed and frustrated if they start doling out Peggle Masters at a $5 fee. I can feel it coming, too. Peggle 2 is a good game, don't let my apparent frustration fool you. My issues with it stem from its brevity and seeming lightness as a package. $12 should get me more than what's here. It's nice to see Duels mode coming, but I just wonder why it wasn't included in the first place.